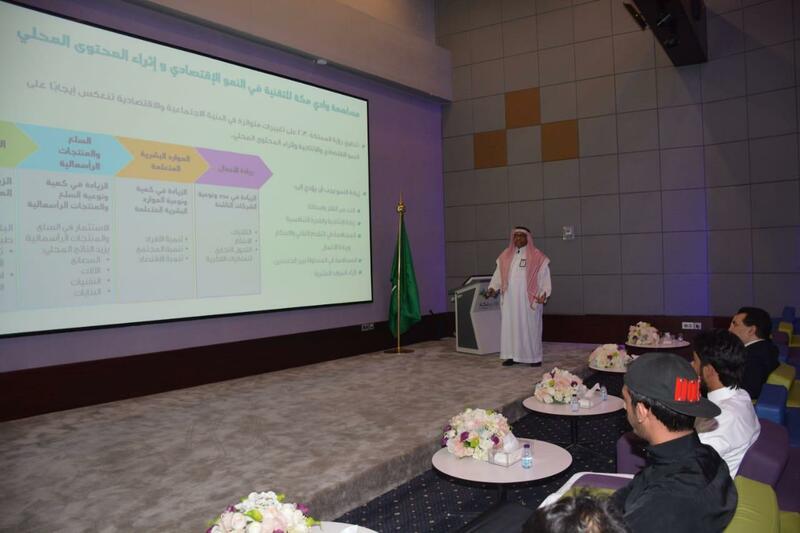 A student delegation from the community college visited Wadi Makkah Technology Company and was briefed about the company's history, objectives, projects, and the projects of the company and its affiliates, both in general and those provided for the students in particular. The students also learned about the company's initiatives and start-up forum. The delegation was also fully briefed about the company's energy raising program and establishment program. The student delegation was accompanied by Dr. Ahmad Rida Jalali, the Supervisor of the Innovation and Projects Unit in the college and Mr. Sami Al-Harthi, the Supervisor of the Public Relations and Media Department, under the direct supervision of the Dean of the College, Dr. Esam Bazar`ah.